Anoush Abrar, Rob and Nick Carter, Crystel Ceresa, Bouke de Vries, Cris Faria, Aimée Hoving, Behrouz Rae, Marc Rembold and Christian Robert-Tissot. Dali experimented in different ways with the difficult relationship between high and low culture. And he continued to do so, even after the discourse in the art world became sharper in the tone after World War Two. For long time attention for Dali has been mainly focused on his work as a painter and writer, but his lifelong relationship to mass culture make a statement about Dali’s importance, and as a predecessor to Warhol’s work. Behrouz Rae (1979, Iran) he now lives and works in Los Angeles. A serie of his drawings among others is included in very prestigious Ebrahim Melamed collection, the Honart Museum, Tehran. Behrouz Rae is represented by Laleh June Galerie. Cris Faria (1975, Brazil) he lives and works in Zurich. Crystel Ceresa (1979, Swiss) she lives and works in Geneva. 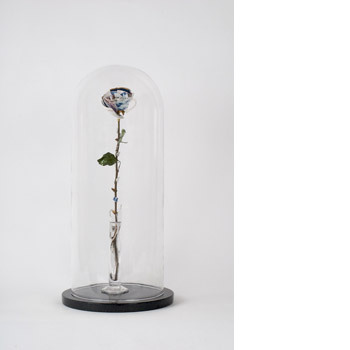 Crystel Ceresa is represented by Laleh June Galerie for Switzerland. Christian Robert-Tissot (1960, Swiss) he lives and works in Geneva. Robert-Tissot joins the gallery for the first time. His work among others is included in very prestigious Swiss museum collections: Mamco, Geneva, Migros Museum für Gegenwartskunst, Zurich and Musée des beaux-arts de La Chaux-de-Fonds, Neuchâtel. Marc Rembold (1963, Swiss). Marc Rembold is represented by Laleh June Galerie. Anoush Abrar (1976, Iran) he lives and works in London and Aimée Hoving (1978, The Netherlands) she lives and works in Geneva. Marc Rembold for the first time (point of view of material and technical) will present worldwide, a very new neon 2011, glittering in all colours from his ”Love” series. Rembold since early 2000s has exhibited Swiss and international, in New York, Los Angeles, Miami, Palm Beach, Boca Raton, Fort Lauderdale, Paris, Milan, Moscow, Dubai, Seoul, Vancouver, Toronto, Dusseldorf, Cologne, Geneva, Zurich and Gstaad. Bouke de Vries (1960, The Netherlands), he lives and works in London. For more information regarding this exhibition, and press inquiries please contact the gallery at info [​at​] lalehjune.com or +41.61.228.77.78. Courtesy of the artist and Laleh June Galerie.